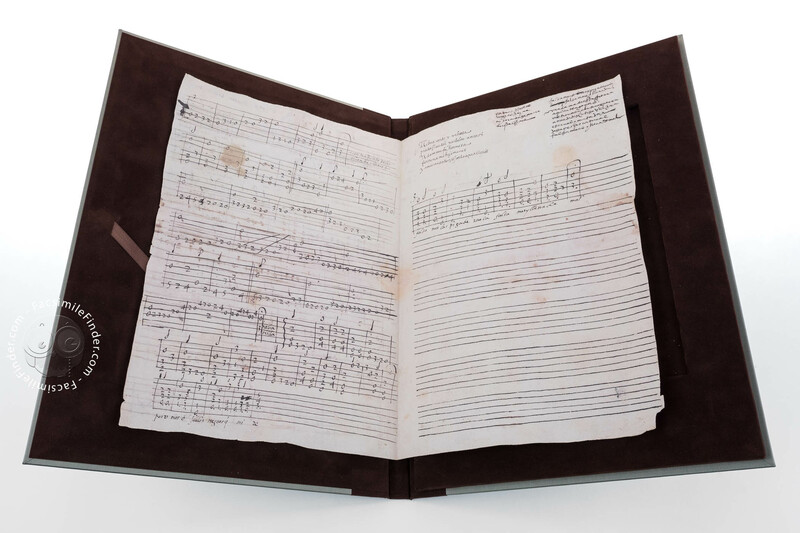 This is a large double folio with three written pages and the final page blank. 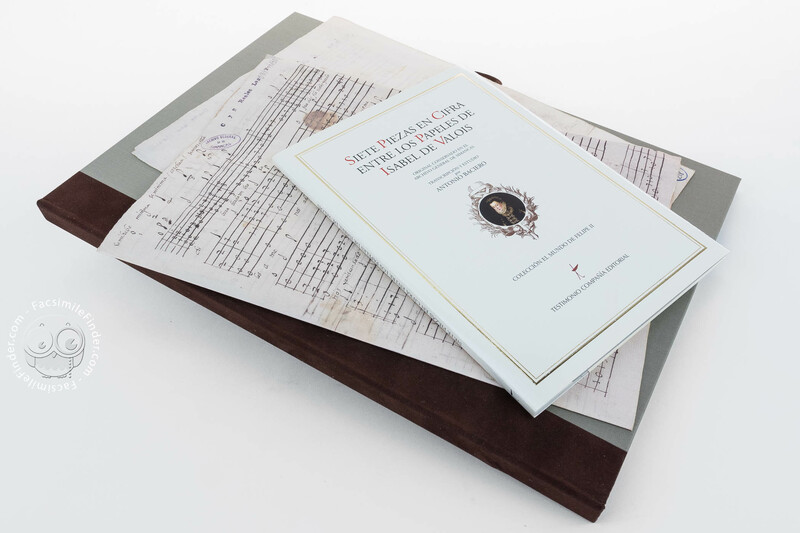 It is classified as Folio 130 in batch 394 of "Royal Houses and Properties". 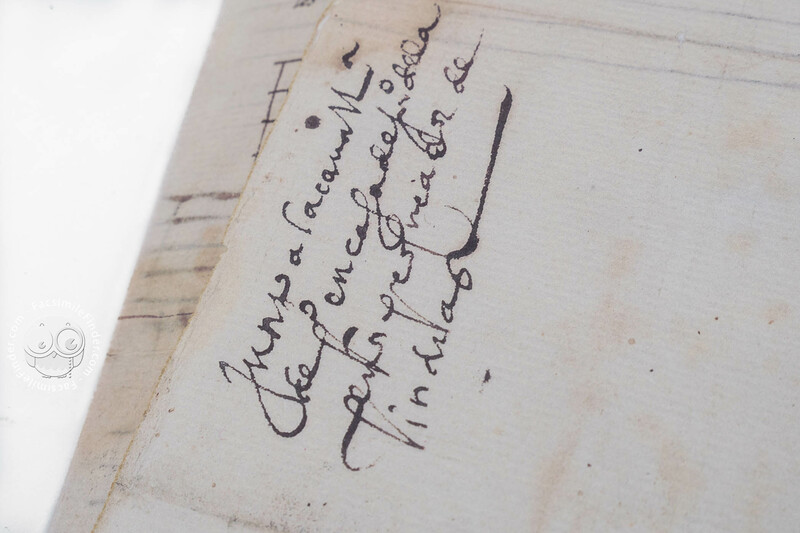 Its cover, with various annotations dating from the 19th century, includes another single folio quite different from the rest. 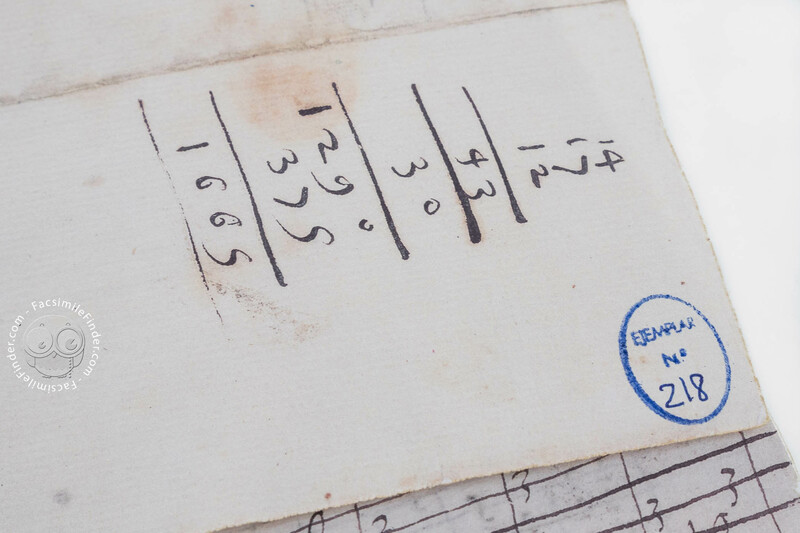 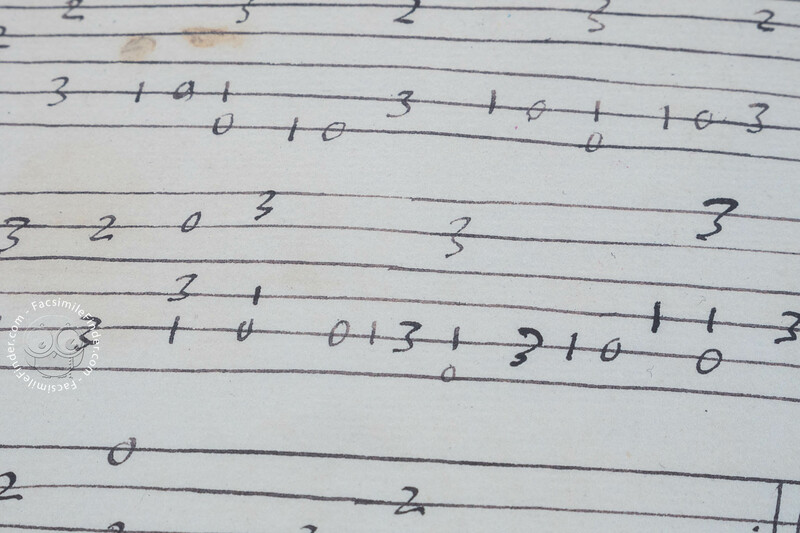 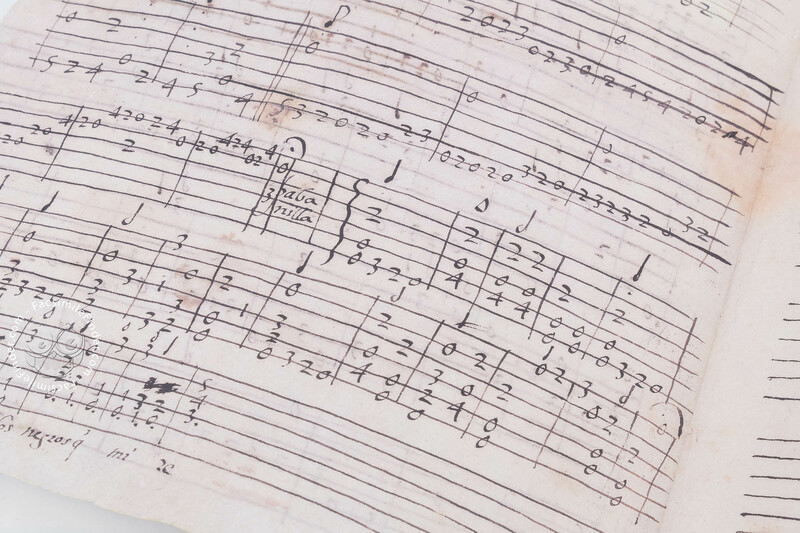 The paper, contents and notation are not at all uniform, indicating not only that the pieces were transcribed by more than one amanuensis but also that the pieces were intended for more than one recipient. 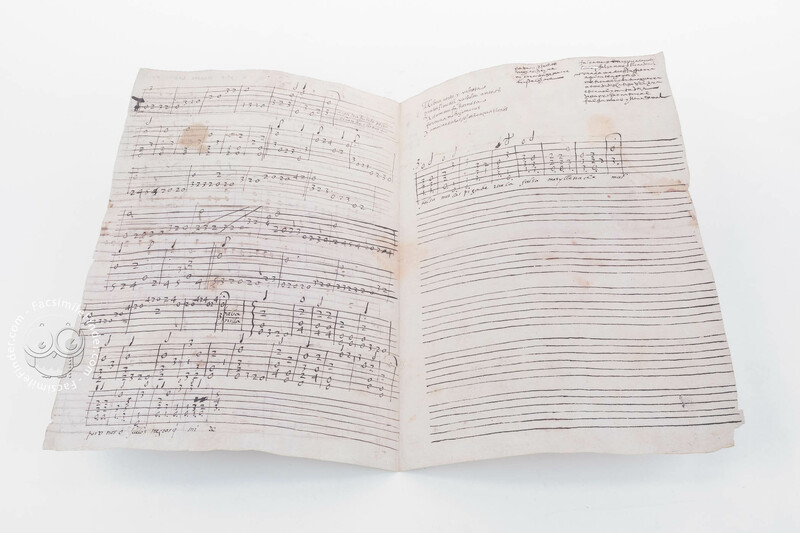 Manuscript book on paper − 31 × 21.8 cm − 6 pp. 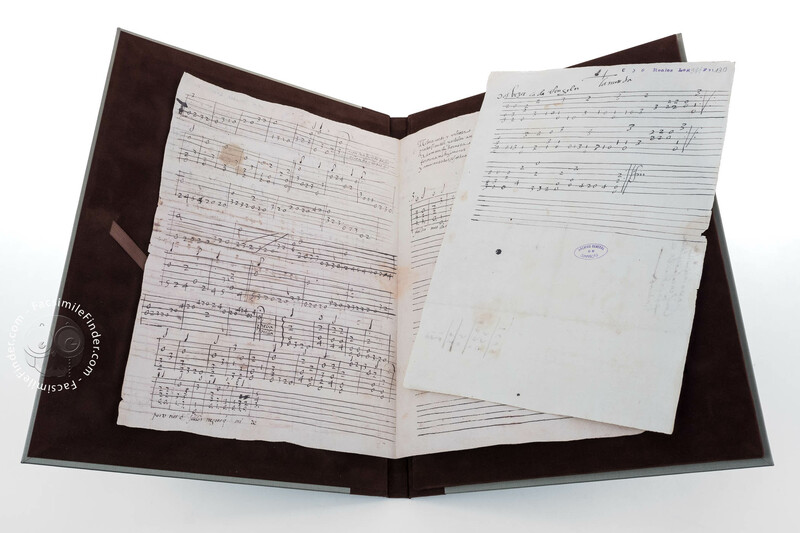 Full-size color reproduction of the entire original document, Seven musical scores belonging to Isabelle de Valois: the facsimile attempts to replicate the look-and-feel and physical features of the original document; pages are trimmed according to the original format; the binding might not be consistent with the current document binding. 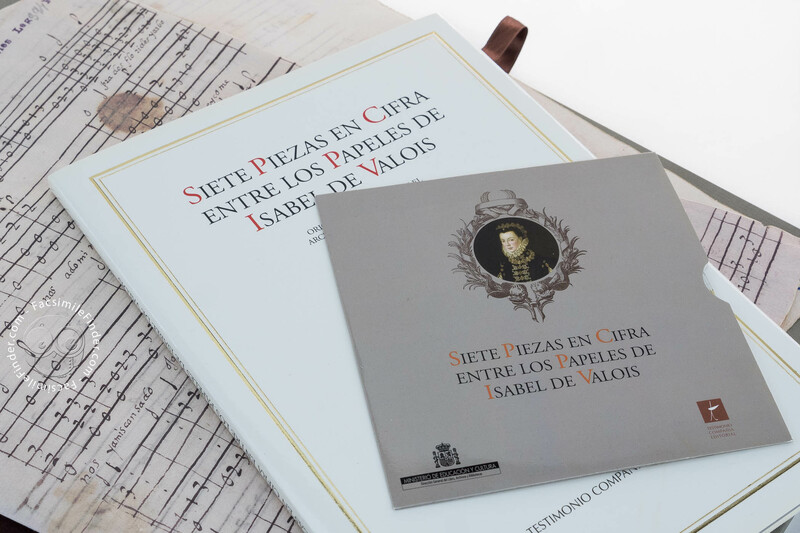 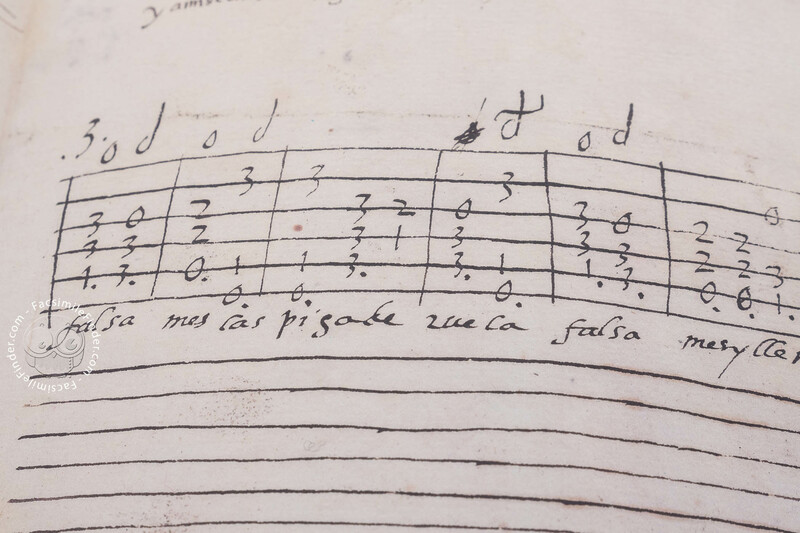 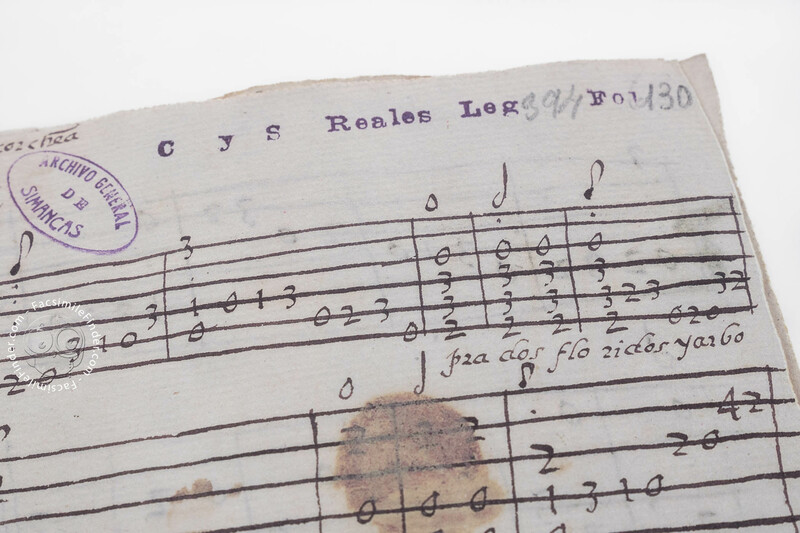 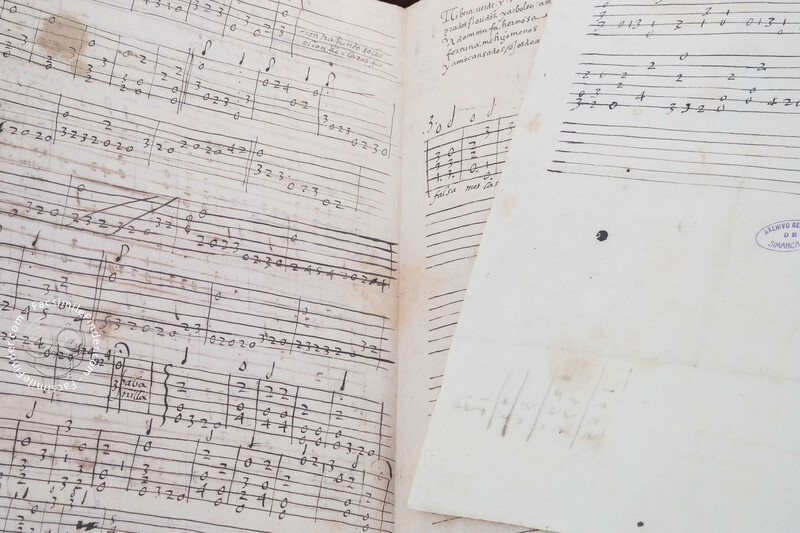 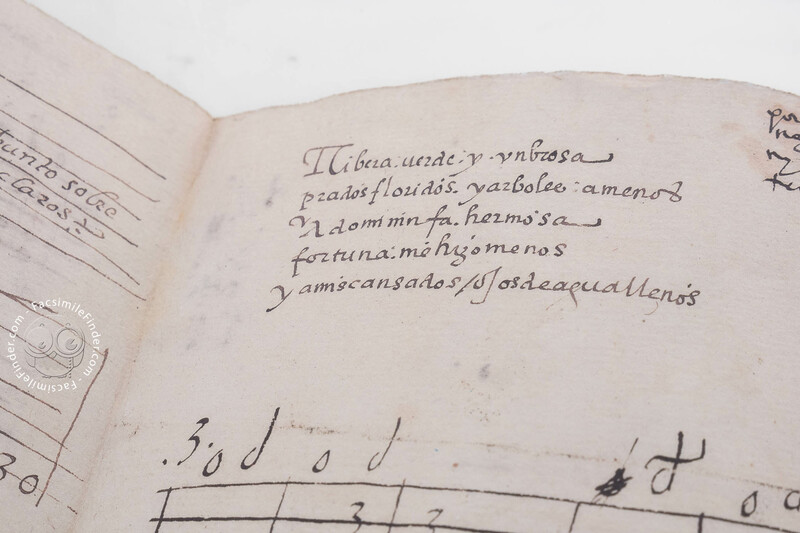 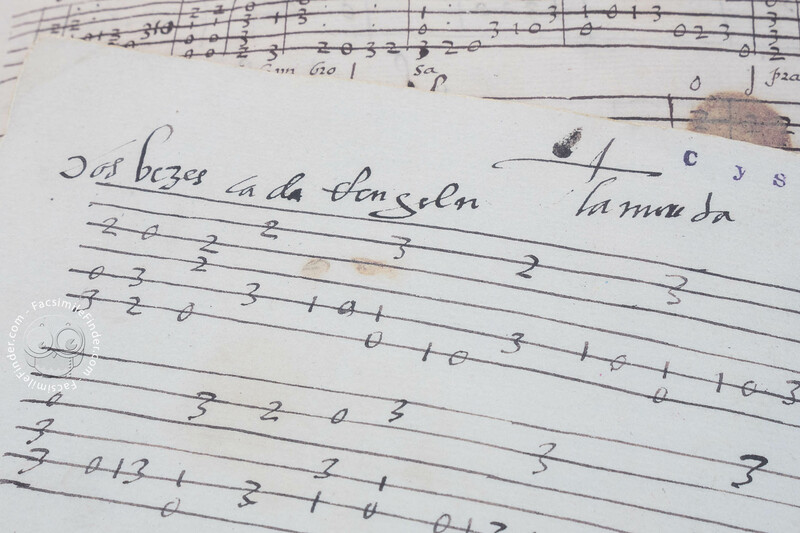 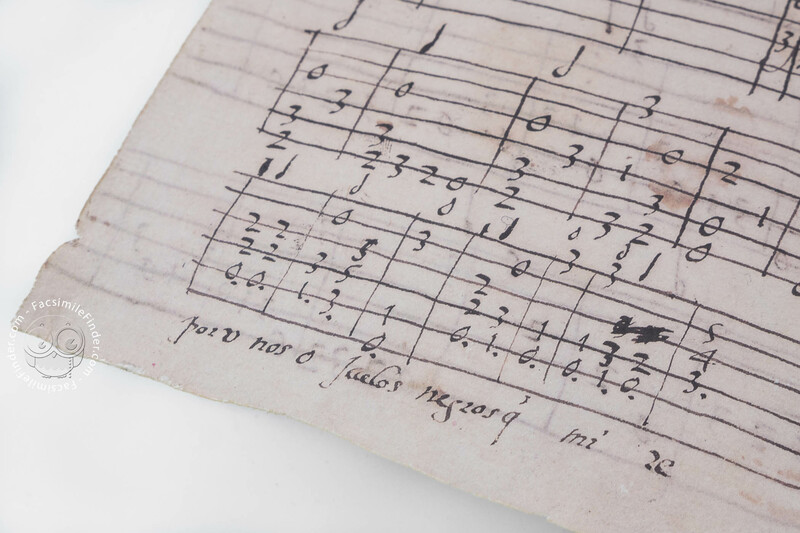 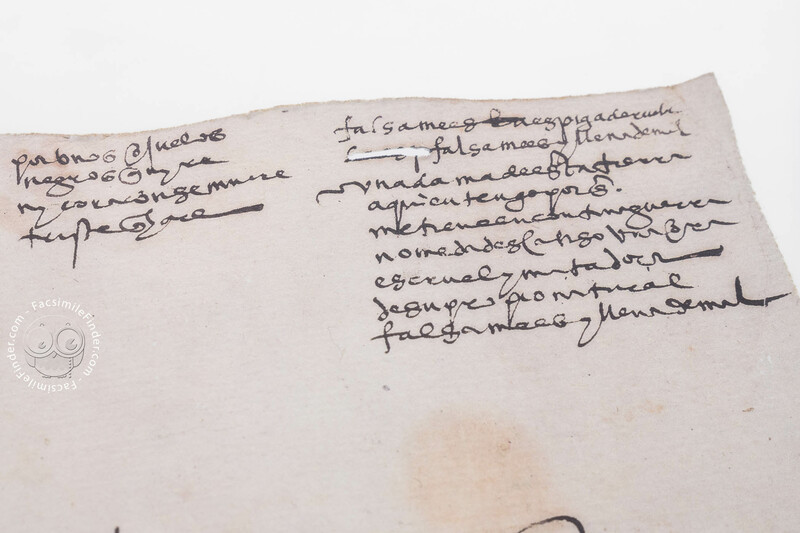 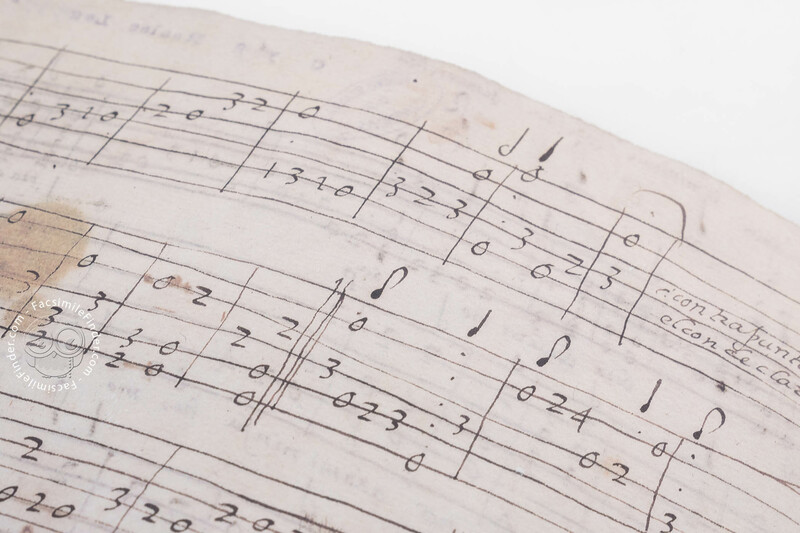 The facsimile comes with a transcription, study and recording on CD by Antonio Baciero of: Ribera verde umbrosa, Guárdame las vacas, Contrapunto sobre el Conde Claro, Pavanilla, Por unos ojuelos negros, Falsa m'es la espigaderuela, La moreta.